Frontier research on physical phenomena in chemistry, biology and materials science. Laser Physics Letters is the international journal for original research papers and brief reviews on all aspects of laser science. 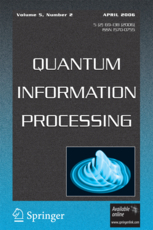 Quantum Information Processing is an international forum for the publication of high-quality, peer-reviewed original papers, review articles, letters. 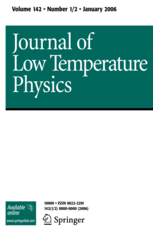 The Journal of Low Temperature Physics serves an international medium for the publication of original papers and review articles on fundamental theoretical and experimental research developments in all areas of cryogenics and low temperature physics. An international forum for original research papers, tutorial reviews and letters in optical physics, optical engineering and optoelectronics. 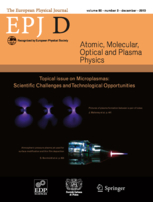 Physica E (Low-dimensional systems and nanostructures) contains papers and invited review articles on the fundamental and applied aspects of physics in low-dimensional systems, including semiconductor heterostructures, mesoscopic systems, quantum wells and superlattices, two-dimensional electron systems, and quantum wires and dots. 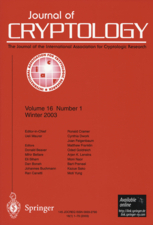 Both theoretical and experimental contributions are invited. 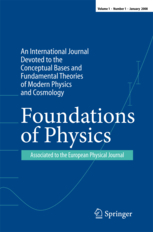 Foundations of Physics is an international journal devoted to the conceptual bases and fundamental theories of modern physics and cosmology, emphasizing the logical, methodological, and philosophical premises of modern physical theories and procedures. 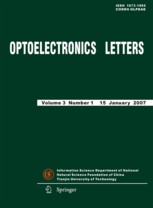 This journal represents an important window into Chinese science and technology in the field of photonics and optoelectronics. 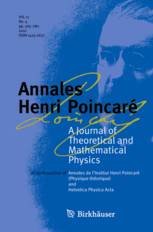 Theoretical and Mathematical Physics covers quantum field theory and theory of elementary particles, fundamental problems of nuclear physics, many-body problems and statistical physics, nonrelativistic quantum mechanics, and basic problems of gravitation theory. 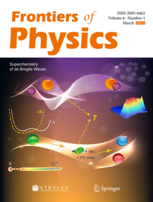 The International Journal of Quantum Chemistry is concerned with the quantum mechanical description of the structure, properties, and dynamics of atoms, molecules, condensed matter, and biomolecular systems. The range of topics covered in these areas is extensive, from Molecular Interaction and Reactivity to Spectroscopy and Thermodynamics of Clusters, from Atomic Optics to Bose-Einstein Condensation to Femtochemistry. For a complete list click on 'Aims and scope' in the righthand column of this page. 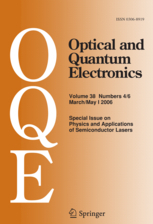 Progress in Quantum Electronics is an international review journal devoted to the dissemination of new, specialized topics at the forefront of quantum electronics and its applications. 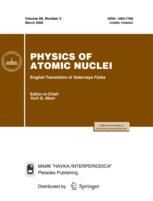 Founded in 1965, the leading Russian journal on elementary particles and nuclei. 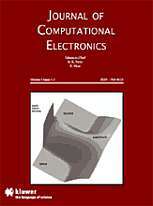 The Journal of Computational Electronics brings together research on the full spectrum of modeling and simulation of modern electronics. 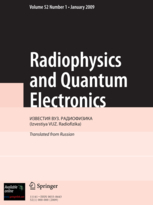 It addresses optical, electronic, mechanical, and quantum mechanical aspects of the field. 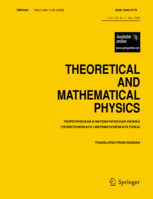 The International Journal of Theoretical Physics publishes original research and reviews in theoretical physics and neighboring fields. Dedicated to the unification of the latest physics research. Frontiers of Physics facilitates communication and exchange among scientists by reporting significant advances made in universities and academic institutions worldwide in nearly all fields of physics. 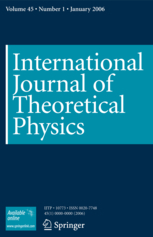 The journal publishes review articles, original research papers, and rapid communications by individual physicists and research groups.